Art Drysdale, a life-long resident of Toronto and a horticulturist well known all across Canada, is now a resident of Parksville, British Columbia on Vancouver Island, just north of Nanaimo. He has reno-vated an old home and has a new garden there. His radio gardening vignettes are heard in south-western Ontario over radio station Easy 101 FM out of Tillsonburg at 2 PM weekdays. Groups of aspen trees (Populus tremuloides); and a test burn of aspen and needle evergreens. Below, the same plot as above after the fire showing the aspens still with green foliage. According to an article by the CBC’s Bethany Lindsay, posted on November 17, the spraying of the province’s forests with Glyphosate may be making the wildfire situation worse than necessary. “Provincial rules require spraying of fire-resistant aspen trees to make way for valuable conifers. “Last year, 12,812 hectares of B.C. forest was sprayed with the herbicide glyphosate. It's an annual event — a mass extermination of broadleaf trees mandated by the province. “The eradication of trees like aspen and birch on regenerating forest stands is meant to make room for more commercially valuable conifer species like pine and Douglas fir. “But experts say it also removes one of the best natural defences we have against wildfire, at a time when our warming climate is helping make large, destructive fires more and more common. “Last year, 12,812 hectares of B.C. forest was sprayed with the herbicide glyphosate. It's an annual event — a mass extermination of broadleaf trees mandated by the province. The eradication of trees like aspen and birch on regenerating forest stands is meant to make room for more commercially valuable conifer species like pine and Douglas fir. “"It blows my mind that nobody is talking about this," said James Steidle, a member of the anti-glyphosate group Stop the Spray B.C. “The experts know this stuff. They've known about this stuff for decades, but it's just not being translated into reality"
“When aspen and other broadleaves are allowed to flourish, they form ‘natural fuel breaks’ if their leaves are out, according to Lori Daniels, a professor of forest ecology at the University of British Columbia. That's why aspen stands are often referred to as ‘asbestos forests’ in wildfire science circles. “A forests ministry spokesperson said the government recognizes that aspen and other deciduous trees can help reduce the wildfire threat to communities, and that in the future, more thought will be put into planting broadleaf trees near homes and businesses. “Nonetheless, the rules about aspen in managed forest stands remain largely unchanged. “The province's Forest Planning and Practices Regulation states that when a block of forest is regrowing after a wildfire or logging, broadleaves can't make up more than five per cent of trees, or two hectares — whichever total is smaller. The concern is that trees like aspen will out-compete conifer species, which are the lifeblood of the timber industry. “If there's too much aspen, the block must be sprayed with glyphosate, a chemical known more familiarly as the active ingredient in Roundup. Over the last three years, 42,531 hectares of B.C. forest have been treated with the herbicide. "At the end of the day, we have rules that make fire-resistant trees illegal in our forests. That's just nuts," James Steidle said. “Aspen naturally thrives after a forest has been cleared by logging or wildfire. Their root systems can survive for thousands of years underground, and they're capable of sprouting new clone trees as soon as there's enough sunshine and moisture. “Glyphosate doesn't just kill aspen trees — it can also destroy their root systems. "When you spray a forest, that's going to last for the lifetime of the forest," James Steidle said. According to Lori Daniels, that's a major loss in a province that struggling with how to prepare for wildfires after two record-setting seasons in a row. "When fire is burning through needle leaf forest, it tends to be very vigorous and very fast-moving," Lori Daniels said. "When fire comes into a forest that has broadleaf trees in it, the conditions change so the fire behaviour is less vigorous and the rate of spread slows down." “Trees like aspen naturally have a higher water content and don't usually contain the volatile chemical compounds that can make trees like pine so flammable. They also provide more shade, which creates a cooler, more humid environment in the understory, Lori Daniels explained. 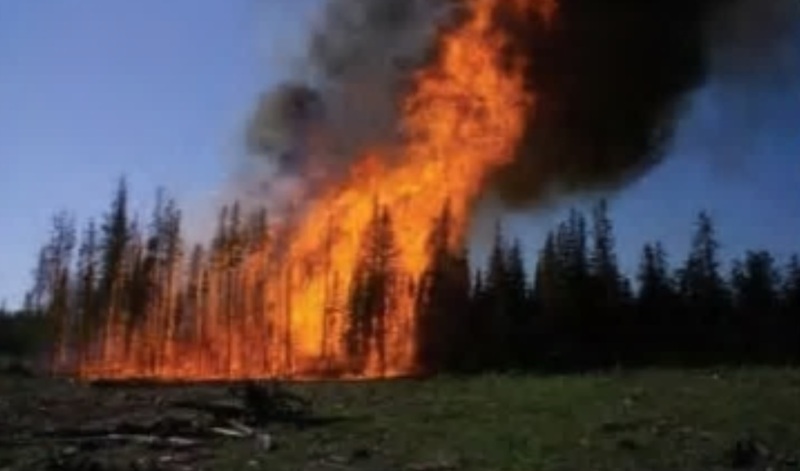 “Often, a "candling" wildfire that's engulfed the crowns of a conifer forest will fall back down to ground level when it hits a clump of aspen. “If a fire is spreading toward a community and we know that there's a band of aspen trees that it's going to have to cross before it approaches that community, the firefighters can use that band of aspen trees to make a stand and try to stop the fire," Lori Daniels said. “The research backs that up. 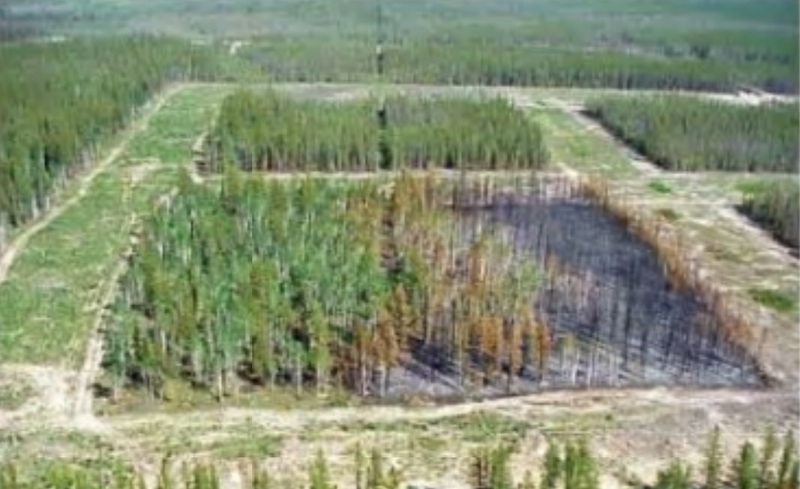 One 2010 study conducted by a fire behaviour specialist with the federal government tested the fire-resistance of aspen by doing experimental burns of a forest that was split between conifers and trembling aspen. “Even when there was a ‘high-intensity flame front’ in the conifers — with flames leaping into the crowns of the trees — the fire ‘failed to sustain itself upon entering the leafed-out hard-wood portion of the plot,’ the study says. “Lori Daniels believes B.C. needs to change immediately its forest management strategies to prioritize growth of aspen and other broadleaves. "We're still stuck in the vortex where we're trying to maximize timber production from conifers, and that is causing irreparable harm in our forests, given climate change and the types of changes in forests and insects and fire that we're witnessing," she said. “The province has promised it's updating forest practices as new research becomes available. That includes some recent adjustments to the rules on aspens in the Cariboo-Chilcotin region. 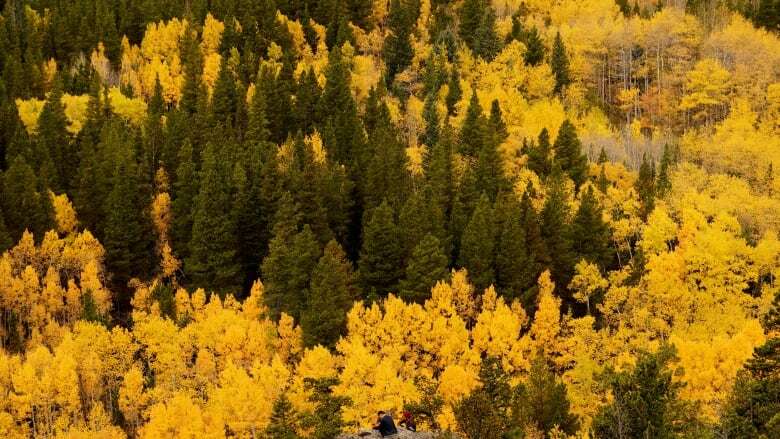 Because the region is so dry and few aspen can survive anyway, they're not considered a threat to local conifers and don't need to be sprayed, a ministry spokesperson said. “But critics like James Steidle would like to see a complete end to the use of glyphosate in forests across the province. “ ‘We need to ban glyphosate. There's no question,’ he said. “The idea has some political support. Last week, Green Party Leader Andrew Weaver raised the issue during question period in the B.C. legislature, and asked how the province could justify spraying growing forests.